When a community organizer asked the crowd last week who has been personally helped by state Rep. La Shawn Ford, more than half the crowd raised their hands. “I don’t know if you guys are tired, fed up and ready to take the city back, but if you are, this is our chance,” Ford said at the Oct. 2nd meeting on the South Side. 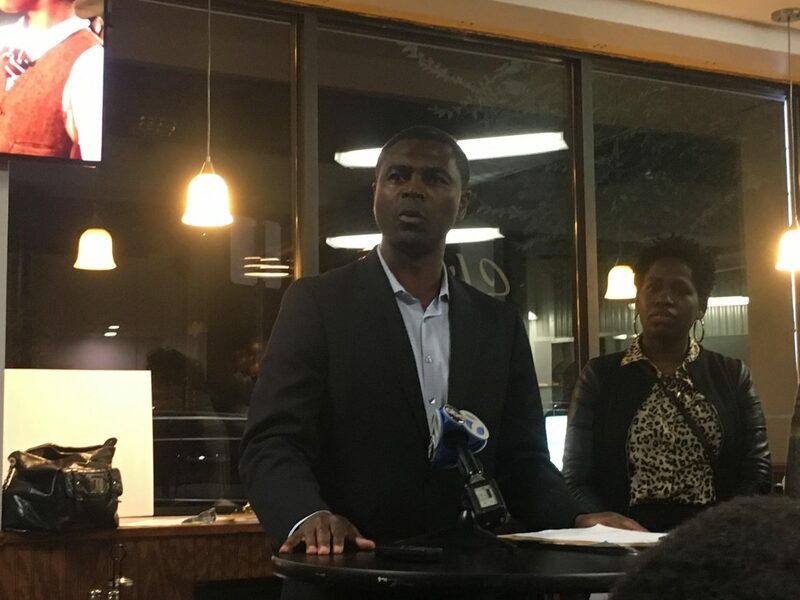 Supporters met at Slice Of Bronzeville, 4655 S. King Drive, to listen to Ford speak about his campaign to be Chicago’s next mayor. Ford is not officially in the race but is gathering petitions to register to be a candidate. The Austin legislator said his 12 years experience working in public policy is what separates him from the other mayoral candidates, who number more than a dozen, according to the Chicago Tribune. Ford said he has relationships with the various bodies of government, from the Chicago City Council to Congress. If elected mayor, Ford said he would treat Austin fairly by addressing the community’s needs that have long been neglected. Supporting Austin through jobs and communities services will benefit the city as a whole, he added. He said he’s focused on representing the South and West side populations through better mental health services, strong economic growth and greater opportunities for those with felonies. Opening a trade school is one way Ford said the Chicago economy could flourish, giving more people access to employment, he said. And he hopes to open a comprehensive high school for educational and economic growth in Austin. He’s also focused on the rights of those with felonies. Ford mentioned his long support in this area, citing a bill he sponsored in 2013 that amended the state’s criminal record sealing law. Tamera Fair, a volunteer for Ford’s campaign, spoke about his passion for helping people as a state lawmaker. When the childcare industry was struggling in recent years, she turned to her elected officials. She said many of them shut their doors, but Ford welcomed her. “La Shawn not only [opened] his doors but gave us his personal phone number and really championed the calls and got results,” said Fair. Then Ford sponsored a number of bills supporting the childcare industry, such as one that provides educational training for families and grants for childcare services. Another meeting will be held tonight in Bronzeville.